Ali Azmat is a name that is known by every child on the streets of Pakistan. He is one of the iconic singers and songwriters of Pakistan who has proved his abilities not only as a musician but as an actor as well. He is best known to many people as the lead singer for the influential Sufi rock band Junoon which redefined Sufi singing for the millennial generation of Pakistan. He is not only famous in Pakistan but across the subcontinent as well. 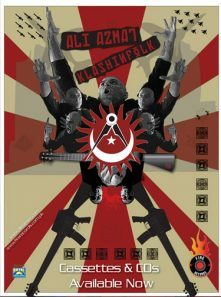 This scale of fame can be judged by the fact that Ali Azmat is the first musician ever to perform at the United Nations General Assembly along with an Indian band choosing to sing his song “Dosti” (English: “Friendship”), an aptly chosen title to promote the UN’s mission in bringing peace to the world and ironically between two arch rivals India and Pakistan as well. Ali Azmat is best as solo because nobody can match up to his standards. His norms, his style, his attitude are purely his. Ali Azmat is one of the persons, whose life is filled with struggles, dares, innovations and rewards to those struggles. He has been gifted with a powerful voice which makes him stand out in the crowd and among his peers. Combined with his versatility and command on musical notes, Ali has become an iconic figure. He has struggled and been tried to be put down, but this only motivated him to rise up to the occasion and overcome all odds to make his mark on the music industry. 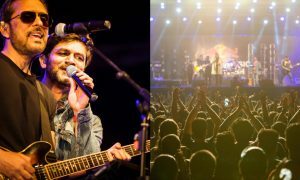 This multidimensional artist has been called the “Bono” of Pakistan by MTV and has been christened Asia’s answer to “Santana” and U2 of South Asia by the New York Times. Today Ali Azmat is an iconic rock singer – mark of excellence and distinction in global music industry. He is now reinventing the South Asian music arena, exhilarating audiences everywhere with his fervent and trademark poetic fusion of east/west musical traditions. Ali stepped into the Pakistani music arena when there was very little media penetration in the general population. Most of the singers during Ali’s youth chose to go solo and make a brand of their own which would make them a standout icon. Ali took up the challenge and then used his original ideas to start one of the first pop-rock bands of the country, namely Jupiters who later came up with the evergreen song and anthem for the youth, Dosti (Friendship). In 1990, Ali started the most famous and accredited band of South Asia, ‘Junoon’, as lead vocalist. He was joined by Salman Ahmad and Nusrat Hussain. The band Junoon failed to make an impact on the music industry initially. There were many bumps on the road and these struggles led Nusrat to leave the band. After his departure, Salman Ahmad invited bassist Brain O’ Connell to join them. Salman and Brian had been friends since high school and this led them to be members of a band later on. He worked with Ali and Salman on their second album, Talaash. The band also featured in a television series of the same name which was widely acclaimed by the audience. 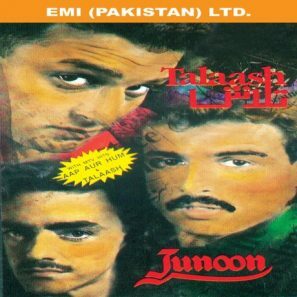 In 1994, Junoon started working on their 3rd album. In 1995 they released a combine album called Kashmakash which became the first compilation of such sort in Pakistan. It was the same year that the band set up a website for them, which became one of the first in the country as well for any music group. In 1996 they released their 3rd album Inquilaab which was a blend of western music and classical Sufi music. 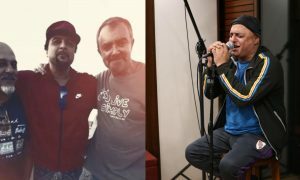 With this release, Ali and Junoon started to reach wider audiences in Pakistan and their song Jazba-e-Junoon became the anthem for the cricket world cup in Pakistan. 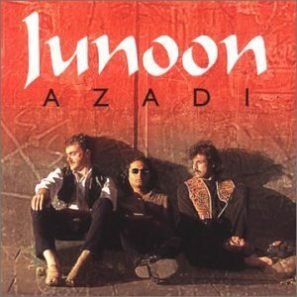 Junoon’s fourth studio album Azadi was the most successful album of the music group which received platinum rating in South Asia. It was the highest selling album for the group. In 1997, the group went on their first tour to United States where they performed in Los Angeles and Birmingham, Alabama. In 1999, Junoon won the “Best International Group” award at the Channel [V] Music Awards in New Delhi. In 2001 Ali appeared in the VH1 News Special Islamabad Rock City, a documentary on Junoon hosted by Susan Sarandon. In October 2001, he sang it again, this time on the floor of the United Nations General Assembly with an Indian band. The New York, Times and the Village Voice among others wrote rave reviews of his performance, the only rock concert ever held at the UN. In 2002, Ali was nominated for an Emmy award for the song Baba Bandook which featured in a Pakistani cartoon. 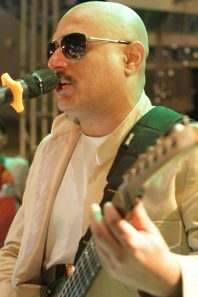 Ali Azmat parted himself from Junoon to establish himself as solo singer. In March 2005, Ali released his first solo album “Social Circus”. The debut album gained a titanic triumph as it won 13 awards in Pakistan including Best album, Best producer, Best single for “Na re Na,” and best new video. Ali released his second solo album in August 2008 named ‘Klashinfolk’ with “Gallan” being the first video to come out of the album followed by “Tanha Hai Kyun” and “Tera Mera Milan”. 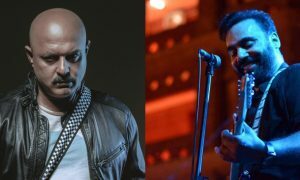 Since he parted ways from ‘Junoon’, Ali Azmat has been the centre of much speculation because he was the phenomenon that got Pakistan recognition on the international platform. However, ‘Social Circus’ has shone through all the dents that many have tried to create in his career. Ali has always focused on creating a dynamic feeling within a person through his music and tries new approaches which have not been explored by other artists in the country. He has always been a part of numerous speculations and controversies but his ability to perform under pressure has made him shine brighter than most in Pakistan’s music arena. His music is an honest compilation, which aims at stirring up every emotion, resurfacing every feeling, in people who have faith in art and music. Ali Azmat has always been a strong performer for the crowd and showers his charisma on the stage with his hypnotizing performances and quintessential emotional involvement in every second of his live singing; one of the many reasons that have kept his fans faithful to his music. His live performances are spread out throughout the country, mesmerizing old and the young alike and have been an artistic delight which penetrated the venues on national and international stage. 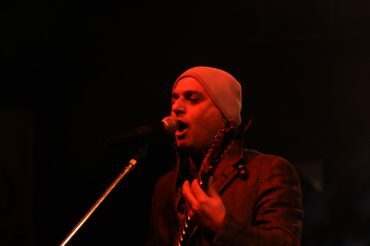 Ali Azmat has toured extensively around the globe, doing two North American tours a year since 1992 for personal or musical purposes. He has performed in Europe, Middle East and China and at the renowned European rock festival, Roskilde in June 2000, where Pearl Jam, Iron Maiden and Travis performed, among others. In 2003, he appeared live at the Royal Albert Hall. 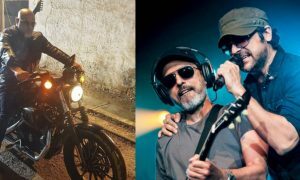 It can be seen that Ali Azmat is one of the truest international icons of Pakistan who has made his mark on national and international stage. 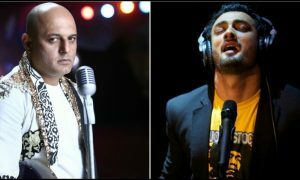 Due to his experience and immense talent as a musician, Ali Azmat has been part of the famous Coke Studio Pakistan since the beginning. He has been part of the production team, planning the songs and providing a different touch to those he handles. He was the first singer alongside Rahat Fateh Ali Khan in season 1 episode 1 to appear and sing the inaugural song ‘Garaj Baras’ which became an instant hit. In season 6 of the show, Ali performed his song on the show named “Babu Bhai”. This was followed by another classic named “Sawal”. In season 8 of the show, Ali appeared again and sung “Rangeela”. In the latest season of the show, season 9, he sung “Mun Kunto Maula” which was a mix of Sufi and classical music. Ali was praised for his input in the song, powerful and charismatic as always. 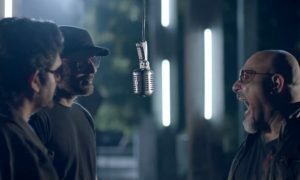 His charismatic and successful career has earned him close affiliation with brands such as Walls, Paktel, McDonalds and Sony Ericsson, with successful ad campaigns that have explored a new spectrum of Ali Azmat’s various glorified definitions of art. When speaking of his aesthetic capacities, one cannot go without saying anything about his acting career as well, we’ve seen this multi-talented artist do a job well done in his dramas and his music videos. 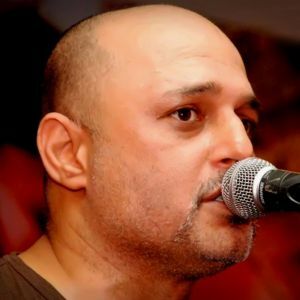 Ali Azmat has also played as an honorable jury for the Pakistani franchise of an International Music Show named Pakistan Idol. His appearance marked a notable viewership for the show throughout the season due to the huge fan following since the 90s. Lately Ali Azmat have endorsed a few big brands like “Mobilink Jazz” and “Pepsi”.